Nearly 70 years ago, Awi Riddell began making his mark on St Stephen’s School, a 10-minute drive from Pukekohe — initially as a pint-sized East Coast kid with oodles of potential, and then as a teacher not at all inclined to tolerate second best from his pupils. He carried the same commitment and energy to his role as principal, for 13 years, at Te Aute College in the Hawke’s Bay. And then in charting a range of national Māori projects for the Ministry of Education. At 80 years old, he’s now looking back with a mixture of pride and regrets at the field he’s been working in. Kia ora, Awi. Or should I be addressing you as Te Aorere? Well, Awi is a nickname that has stuck with me ever since we were little children. My older sister Wilma was only 18 months older than me and, when I came along, she couldn’t pronounce Te Aorere. Awi was all she could manage. That name came from my grandfather, Te Aorere Pewhairangi, who died in 1936, the year I was born. Like many of us, me included, you have a Pākehā dad and a Māori mum. How did that come about in your case? On our Māori side, we belong to the Pewhairangi family. In 1840, a group of rangatira was leaving Tokomaru Bay to go up north for the signing of the Treaty. My great-great-grandmother, Harata Tangikuku was with child at the time. And one of the rangatira told her she should name the baby Pewhairangi in memory of that trip. And, when she gave birth to a son, she named him Wi Pewhairangi. The Pewhairangi name actually belongs to Ngāpuhi. It‘s what the Ngāpuhi people call the area that we now know as the Bay of Islands. So that name came to Ngāti Porou through the birth of my great-grandfather. He was born on February 6, 1840. One of his children was my grandfather, Te Aorere, who became the father of my mother, Ripeka Hinekino. She married into the Riddell family who were from Scotland. Six Riddell brothers had come from the border country in the south of Scotland. That was in the 1850s. One of them, Andrew, became my great-grandfather. He was the person who introduced the Border Leicester sheep to New Zealand. They didn’t belong to him. He was the one who looked after them on board the ship. Most of those brothers settled in Southland and Otago. But gradually they moved north to Taranaki, to Waikato and to Hawke’s Bay. That’s the Riddell side. My dad was born at Otane just down the road from Te Aute College — and he and my mum married in 1924. My mum had 14 children to him and I’m the eighth of those 14. But there are only four of us left alive at the moment. The eldest is Iritanga Margaret who’ll be 92 this year. I’m the next one of us four (I’m 80) and below me are two younger brothers, Poneke Te Oraiti — he’s 72 — and Frank Taha Tu o Te Rangi, who’ll be 70 this year. Ka pai, Awi. Thank you. Now I’m aware that there’s some droving in your whakapapa. That goes back to the days when cattle and sheep didn’t cruise around in stock trucks. From the time I was old enough to know my dad, he was a drover. Prior to that, apparently, he worked on sheep stations as a shepherd. But he was a drover for over 50 years. Sometimes driving sheep but more likely cattle — and taking them from the East Coast up to the Waikato. When I was about 11, I went with him during the Christmas holidays. We spent about two weeks on the road between Te Puia Springs and Hicks Bay, driving 300 head of cattle. I’d be in front of the mob and they‘d just come along behind me. Dad would be at the back with his dogs. I remember a couple of scary incidents. Once, when I was leading the cattle over the bridge across the Waiapu River. Dad told me to be careful in case the cattle got spooked — as they can be on bridges. And they were spooked this time because the bridge started to rock. So they took off. Stampeded. And could’ve bowled me and the horse if we hadn’t sped up and got clear of them. There was another incident when we were going through Tikitiki. I was leading the packhorse in front of the cattle. Unfortunately, I mustn’t have pulled the girth tight enough. So the pack saddle rolled underneath the horse’s stomach — and it just went crazy. It bolted down the middle of Tikitiki, scattering everything in the pack. And then I had the embarrassing job of going back and picking up all the stuff again. I came back to Te Puia from Hicks Bay by bus, and I was determined I wasn’t going to follow in my father’s footsteps and be a drover. My dad carried on droving until he was about 70. And, when my mum died — she was 57 when she died — he married a young woman from Torere and they had three more children. There’s some others, too, that were born along the way. But I only know one of those. So, we had a big family. Your dad sounds like a bit of a character. He was a character. He was on Country Calendar one time. But your mum and nana were influential personalities too, weren’t they? Both of them. My grandmother was especially respected for her knowledge of te reo Māori. For instance, Apirana Ngata used to come to her seeking advice on words or history or waiata when he was working on Ngā Moteatea. A lot of other people would seek her wisdom too. She lived with us for a long time. She’d have karakia all through the night and she’d be talking to her kēhua and all that. I remember at the outbreak of the Second World War — I was only a little child then — but I recall all my cousins coming to seek her blessing. She blessed each of them with her hands on their head and they all came back from that war. And that was a marvellous thing that none of them were buried overseas. She was a powerful advocate of education too. Her message, in Māori of course, was that we should realise that education is a treasure — and that it’s a treasure with a beginning but no end. That, if we wanted to follow it, we should eat it completely, drink it completely. That we should seek its heights, its breadths and its depths. 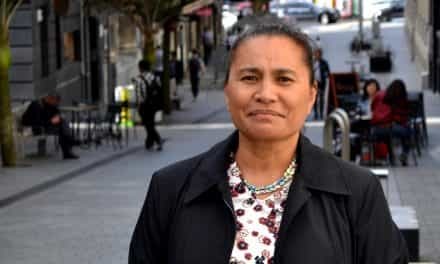 She sent all her children to Māori boarding schools. My mum went to Queen Victoria in Auckland and then, when the climate affected her health, to St Joseph’s in Hawke’s Bay. Maringi and I were able to send our three kids to boarding schools too — one daughter to Queen Vic, another to St Joseph’s and our son to St Stephen’s. And you yourself made it from Te Puia Springs to Tipene, thanks to a scholarship? That was a government scholarship. It was 75 pounds a year for four years — exactly the boarding fee for St Stephen’s. That was only through Miss Cory Johnstone, a wonderful woman who was the primary school principal who changed the lives of a lot of us in Te Puia Springs. At the end of my third year, I passed my school certificate. I still had one year to go on the scholarship. But I was going to leave because I’d been accepted to go to Ardmore Teachers College. Really, I wanted to go to Ardmore to play rugby. Pat Walsh, soon to be an All Black, was at Ardmore. In fact, there were four of the 1954 Ardmore team who became All Blacks. I played on the wing or at centre and I was hoping I’d be able to play either inside or outside Pat Walsh. But that wasn’t to be because John Waititi visited my mother and persuaded her to send me back to St Stephen’s in 1954 because Evan (“Joe”) Lewis had been appointed as the new principal. He had a huge reputation as a rugby coach and as an academic. And he began building up the school. There were only 39 of us on the roll in 1954. But, even with so few to choose from, we were able to field a 1st XV that beat King’s College who’d won the Auckland competition. So that was a great start to a long rugby era when, for many years, Tipene was beating all-comers. But there was academic success too because he gathered around him some wonderful teachers and mostly Māori talent like Koro Dewes, George Marsden, Scotty McPherson, Rawhiti Ihaka, Api Mahuika and Tamati Reedy. It was great not only to work under him as a student but then later as one of his teachers. So I stayed on beyond that four-year scholarship and left in 1956. And Mr Lewis got the Pukekohe Rotary Club to help with my fees for those last two years. My brother Robin, who was in the navy, was a big help too. That’s how I managed to get through St Stephen’s. The school has been closed now for some years. When I drive past it these days, I feel quite sad, having visited it when it was pulsating with the lives and the hopes and the dreams of young men. When you drive past and look across at the buildings, all of them empty and falling to disrepair, what feelings does that invoke in you? I went out there one day when I was in Pukekohe and I had time on my hands. I just popped in. And I cried. I absolutely broke down. I thought: What a huge waste of a marvellous education facility. Such terrible short-sightedness. I don’t know all the background, but I don’t think it made any sense to close it. Such a beautiful site too. When it was still open, but in dire straits, the board of trustees asked me to write a report on the school. I explained how disturbed I was at the prospect of the school closing. But I pointed out how it could still be saved if they made the right appointment. The school could’ve still been turned around. However, that wasn’t to be. And now we have Joe Harawira and other old boys fighting to have it and Queen Victoria re-established. There may be an avenue somehow. When you talk of Tipene with a roll of only 39 kids knocking over King’s, we’re reminded that the school punched above its rugby weight for many, many years. And perhaps that success started with you as the 1st XV captain? No. I was never the captain. I was head prefect. And dux. But not the 1st XV captain. Oh, yeah. I was athletics champion every year I was there. The sprints. The 100 and 200. And the 440 yards. But I didn’t like that distance. I normally won the long jump too — and the hop, step and jump. No doubt, through your years there as a pupil and then as a teacher, you would’ve got to know any number of boys who’ve gone on to make their mark as adults. Yes, a number of gifted young men. A few who’ve gone into politics — like Shane Jones and Hone Harawira. 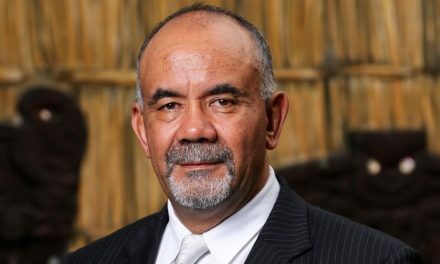 Te Ururoa Flavell and Mahara Okeroa as well. Then we’ve had others — Derek Fox and Larry Parr — going into the media. Quite a few. Charlie Timutimu and Graham Smith, for example, in education. And then there were a number who came already with the language — like Waihoroi Shortland from the north — the boys from Tūhoe. Like all those Temara boys. And Tamati Cairns. That’s a beautiful roll call. Thank you. 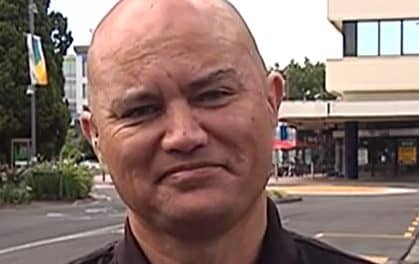 Now, e te rangatira, can we just pay tribute to your beautiful wife who you lost to breast cancer in 2000? Maringi had spent three years at Te Karaka District High School but then came up to Queen Victoria School where Alice Berridge was the principal. And I first saw her when some Queen Vic girls came out to a dance at St Stephen’s. I was struck by her beauty. But I was too shy to ask her for a dance. A couple of years later, though, we got together when she became a radiographer at Auckland Hospital — and we married in 1959. I had to go home and ask her people if I could marry her. Actually, I had to ask her grandmother because both of Maringi’s parents died when she was young. Her father, Kerepori Kiwha, was killed in the war and her mother, Te Akau Brown, died when she was only 35. So Maringi and her brother and sister were brought up by their grandmother, Waioeka. They told us to go outside for a while, while they had a discussion. Then, half an hour later, we were called back in and told we would be married on such and such a date — and that we’d be married in the Ringatū faith because her uncle was the chief of the Ringatū church at the time. You’ve mentioned the death of Maringi’s dad in the Second World War. And I understand that you both were able to visit his grave in Ravena. That must’ve been an emotional occasion. It’s one of the most moving experiences I’ve ever had. The War Graves Commission in London had given us the details of where his grave was, because these cemeteries are huge. And when we arrived at the gate, Maringi just went ahead as though she was drawn to her dad’s grave. Then she began to wail. To cry. And she went straight up to his tombstone — as if she’d been drawn to it. It was an amazing, beautiful tangi. And she placed her flowers on the grave. We’d taken some soil from their home — just a little bit of soil — and we sprinkled that over his grave. That was a wonderful occasion. Then, not long after that memorable visit to Italy, Maringi succumbed to breast cancer. Yes. She died in April, 2000. She’d had one breast removed and then had chemo treatment for a year. Then she was given a clean bill of health so, on the strength of that, we went off with C Company to Italy. But, over there, she became quite ill — and then, back here, after a series of scans, she was told by her specialist that she should live life to the full because she had only six months to a year to live. She died exactly six months later. We took her body to Te Aute College where there was a huge reception for her — and we slept in the wharenui. Then I took her back to her marae, Tapuihikitia, at Puha. Thank you, Awi, for your rich kōrero. 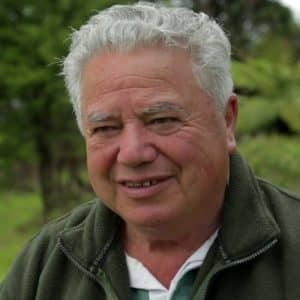 Your reference to Te Aute is a reminder that, although, we’ve talked about your association with Tipene, you’ve played a substantial part in the destiny of Te Aute because you were the principal there for 13 years. Being principal of Te Aute was a major challenge because the school needed uplifting not just on the academic side but on the cultural, religious and sporting sides too. And it needed a big injection of energy which, luckily, I was young enough at the time to supply. But it was a challenge to lift up the school in every way while, at the same time, having the old school demolished and a new school built around us. It was done a little bit at a time, because it was costing so much money. But it was a wonderful agreement between the school’s trust board and the Crown. The Crown paid for rebuilding the school and the trust paid for a small portion of the rebuilding of the dormitories. But most of the money came from the government. Now I wonder about the future of our Māori boarding schools. Te Aute is still going. Hukarere is still going. But they’re struggling. St Joseph’s has always been the benchmark that I’ve looked up to — particularly with Georgina Kingi as principal. She’s done a marvellous job there. But, nowadays, with modern technology, we’ve got to look at new approaches. Parents thinking about sending their kids to a boarding school need to be assured that this school is the right place. Because it costs money. So, by and large, both parents need to be working to afford that. Scholarships can always help but there still needs to be a special reason, an x-factor. And, at the moment, I don’t know what that is. What we do know, though, is that we’ve got some wonderfully talented rangatahi and the education opportunities for them have to be crafted by those who preceded them. Yourself included. So, what do you sense is the most important challenge facing Māori education today? My son asked me a similar question some time ago. And, without thinking much about it, I said: “Safety.” If I send my children to school, I want them to come home safely. Safety really is a big issue. We’ve had fatalities from some strange accidents — one from a pile of gates falling on a little girl. Another involving a scrum machine. So physical safety is a concern. There’s been an understandable concern too about the state of te reo Māori. But, in some ways, its prospects are healthier now than they were 20 or 30 years ago — especially with the growing number of people advocating that Māori language be taught throughout our primary schools. When I hear your reo, Awi, I can recognise that you’re one of the lucky old guys who’ve got the tongue from their childhood. I always felt I was a second-language learner because my mother wanted us to speak English all the time. She insisted on us speaking good English. And she’d slap us if we made a mistake. Like a lot of parents at the time, she saw the future as being with te reo Pākehā. Not with te reo Māori. But at St Stephen’s I was fortunate to have John Waititi as our Māori language teacher. He was one of three outstanding teachers in my lifetime. One was Ailsa Cory Johnstone, the school principal at Te Puia. The second was John Waititi. The third was Evan Lewis, the principal at St Stephen’s. And perhaps I should add a fourth — John Reid, a professor of English at Auckland University, one of whose special talents was to bring Shakespeare to life. 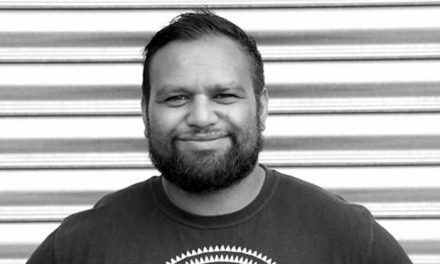 With more time, we could be discussing another substantial chapter in your life when you were working for the Ministry of Education and helping set up dozens of kura kaupapa and establishing our three wānanga too — Aotearoa, Awanuiārangi and Raukawa. But we’ll leave that for another occasion. Ngā mihi nui mo tō kōrero. PreviousAre Pākehā up for the challenge? This story is so interesting at many levels. Awi – your great grandfather Andrew Riddell is my great, great grandfather!!!! Kia ora E-tangata, I always enjoy reading your stories. Look forward to the next one.